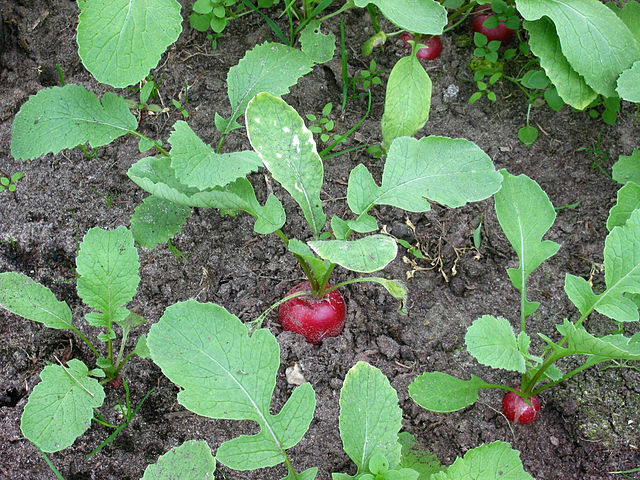 Radishes are an absolute must for anyone wishing to grow fresh, organic, salad crops. Easy to grow and full of flavour, the range of cultivars available today is so large that there should be at least one variety out there to suit everyone’s taste. To be fair, radish seed will germinate between a couple of sheets of damp kitchen towel but if you want to get the very best flavour and growth out of this delicious root crop then there are few simple guidelines to follow. To start with, make sure that the soil conditions are right. All you need it a free-draining and well dug soil down to about 6 inches or so, but it should have no stones or fresh compost in it (although you can add a couple of handfuls of bone meal which can be worked into each square yard). If you can, try to have this done a month or so before you plant your seed but, to be fair, it won’t make much difference to germination. Although they like plenty of light, they will require cool conditions to stop them from bolting and coming into seed. While a position that receives full sun is ideal during the spring and autumn/early winter, you should consider sowing your radish crop to a more shaded area during the summer. Using a rake, prepare a fine tilth - as you would for any seed bed - then make a small dill no more than 1 inch deep. Sow the seed at an approximate rate of 2-3 seeds per inch, then give the seed with a light covering of soil. Now gently water in. You should see the first shoots appear after a couple of weeks, but allow them to grow for a further week before thinning out to 1 seedling per inch. If your radish is not properly thinned at this time then you will have problems with your radish forming good sized ‘bulbs’. 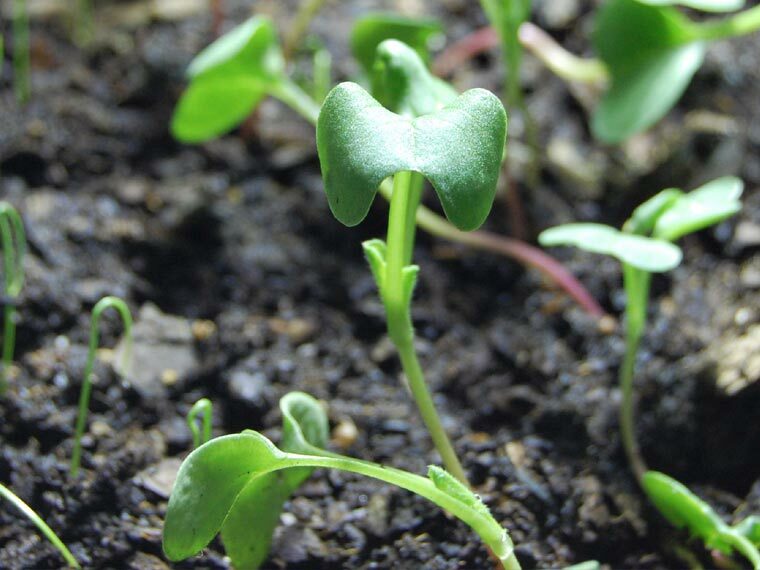 During this time you will also need to keep an eye on weeds as radish plants do not compete well for nutrients. Make sure that they get a reasonable and regular supply of water otherwise the 'bulbs' can crack if they are left to mature too long. You should be looking to harvesting your radish as soon as they are ready which is around 5 weeks after sowing, but leave them too long and they can loose their crispness and become far too bitter to eat. To make sure that you have a regular crop of radish throughout the year, continue to sow a fresh batch every two weeks. However you may wish to stop of the height of the summer as the crop will not perform too well with the heat.